Look who's resurfaced in an all-new adventure. It's Frogger! Three distinctly different screens take our fearless frog on another homeward-bound journey, but this time it's under water, over water, and through the air! Frogger must swim against strong currents, whisk past whales and hippos, sidestep snapping barracudas, spring from cloud trampolines to high-flying birds, contend with Clyde the Flying Dragon and so much more. 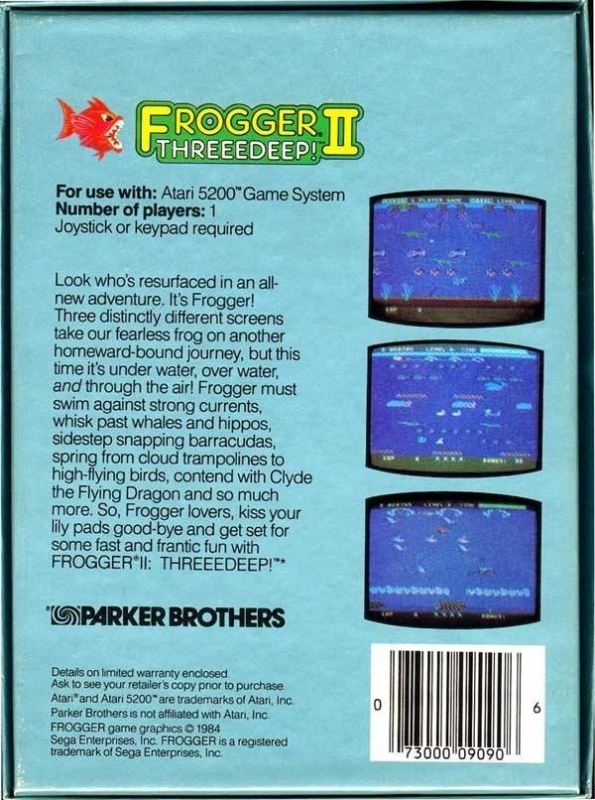 So, Frogger lovers, kiss your lily pads good-bye and get set for some fast and frantic fun with Frogger II: Threeedeep!